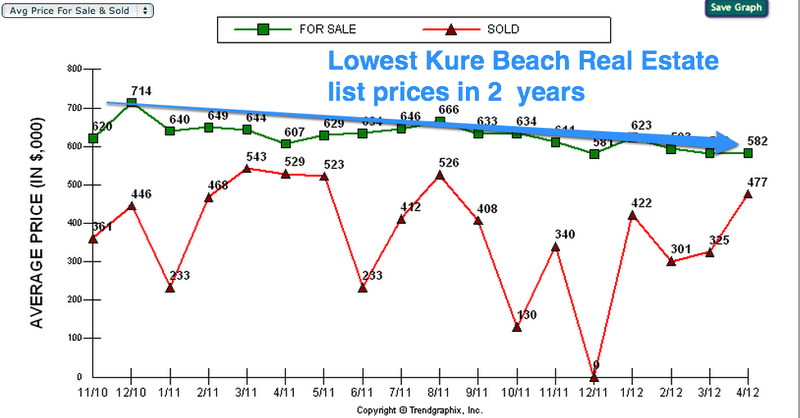 What is the latest and greatest on Kure Beach NC? I love it when new market data is released and empowering buyers with market data. Prices have dropped to lowest in years. This combined with lowest inventory means market should hold steady. 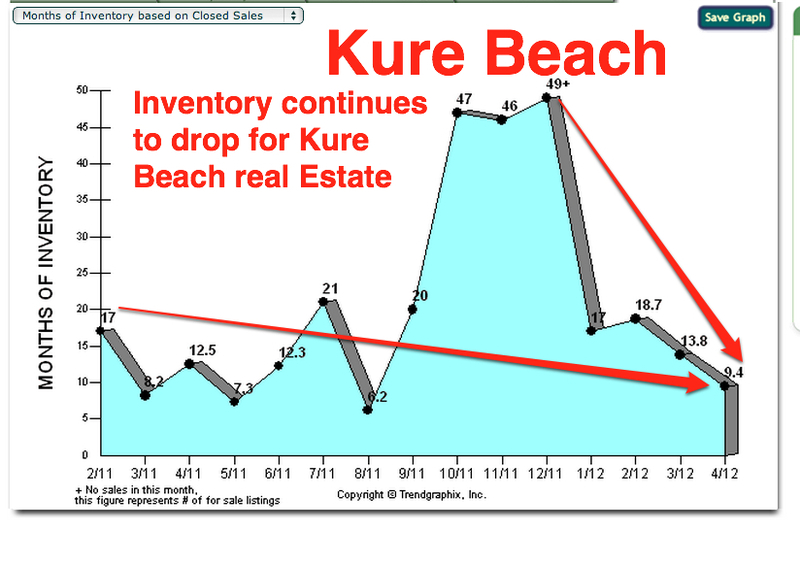 Inventory is the lowest in months–see below. And the big picture or trend is going back to February 2011 that is 16 months ago. And buyers and sellers are on the same page largely agreeing on the list prices which takes some of the drama out of real estate. But don’t worry most of that drama is still there so my job is never boring I can assure you. In fact I’m a drama magnet–just kidding.